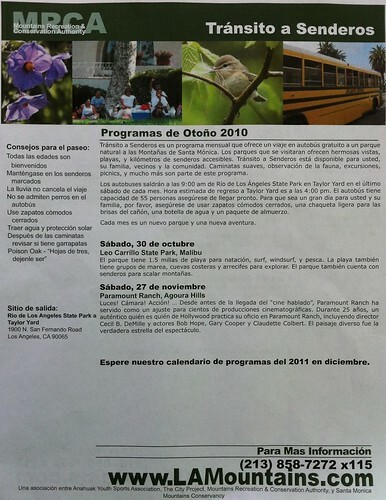 Diverse allies organized Copa COFEM at Rio de Los Angeles State Park at Taylor Yard October 29-30. 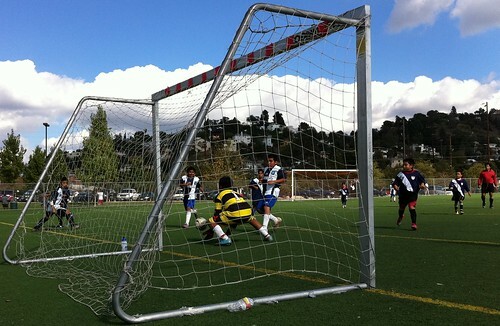 The youth soccer tournament promotes fun, physical activity and healthy eating, and and good citizenship. Civic leaders including Raul Macias and Councilman Ed Reyes urged citizens to vote. Health advocates provided educational programs about physical activi and healthy eating. 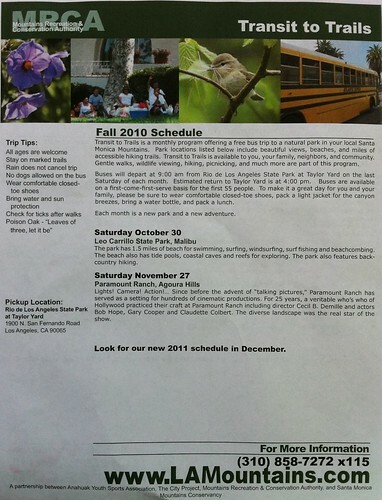 The City Project engaged, educated and empowered the community to support an equity plan to Save California State Parks for All through an per vehicle fee under Prop 21, and to prevent high speed train from destroying state parks. The benefits and burdens of public resources — including state parks and high speed train — must be distributed fairly for all. If you’re like most other busy Americans, you’d love to prepare more healthy meals for your family but find it hard to make the time. The good news is that with a little planning and the clock-conscious recipes in American Heart Association Quick & Easy Meals, you can cook a nutritious dinner for your family faster than you can pick up take-out, buy a packaged meal at the grocery store, or get food delivered. You’ll also conserve money and greatly trim the amount of calories, saturated and trans fat, sodium, and cholesterol in your meals. American Heart Association Quick & Easy Meals also provides ideas for organizing your kitchen, shopping strategies to help you with meal planning, heart-smart cooking techniques, and time-saving tips from cooking experts. In addition, you’ll find information on heart health, including the American Heart Association dietary and lifestyle recommendations and nutritional analyses for every recipe. Enjoy this soup-stew as is or, for a one-dish meal, ladle it over brown rice. Pass the hot-pepper sauce, please! In a large nonstick skillet, heat 1 teaspoon oil over medium-high heat, swirling to coat the bottom. Cook the chicken for 2 to 3 minutes, or until barely pink in the center, stirring frequently. Transfer to a plate. In the same skillet, stir together the tomatoes with liquid, broth, bell pepper, okra, bay leaves, sugar, Worcestershire sauce, thyme, and hot-pepper sauce. Bring to a boil over medium-high heat, about 2 minutes. Reduce the heat and simmer, covered, for 20 minutes, or until the okra is tender and the mixture has thickened slightly, breaking up any large pieces of tomato near the end of cooking. Remove from the heat. Discard the bay leaves. Stir in the parsley, salt, remaining 2 teaspoons oil, and chicken with any accumulated juices. If time allows, cover and let stand for about 15 minutes so the flavors blend more thoroughly. The Healthy Kids SCA Members Magazine, published quarterly with case-studies of healthy canteens, nutritional information and canteen tips, promotional ideas, food safety and hygiene advice, classroom curriculum, healthy menu ideas, recipes and more. Healthy Kids SCA Food Expo and Training Day is held annually in Sydney with workshops, cooking demonstrations and samples of Healthy Kids registered products. Healthy Kids SCA Support Line offering free advice and encouragement about operating a healthy school canteen. Member Fact Sheets developed to assist canteens to operate effectively. Healthy Kids SCA Buyers Guide, a comprehensive guide of products that have been registered with the ‘Healthy Kids SCA and can be sold in school canteens. The Buyers’ Guide is published annually in January, with a supplement published in July and distributed to most schools across the country. Healthy Kids SCA Website includes information about operating a healthy and successful school canteen including financial advice, recipes and the “Healthy Kids Occasional Food Calculator”. Healthy Kids SCA Online Blog provides a forum for canteen managers and parents to discuss canteen issues, lunch boxes and recipes etc. Healthy Kids Canteen Recognition Awards acknowledge and reward the work undertaken for school communities by canteen managers and volunteers. The education consultancy group “Educating NZ” is collaborating with Healthy Kids SCA in a New Zealand Ministry of Health funded project to support the implementation of the Food and Beverage Classification System in schools and early childhood education services. In response to the 2002 Childhood Obesity Summit, former Premier of New South Wales Bob Carr launched the “Fresh Tastes NSW Healthy School Canteen Strategy”. Healthy Kids SCA has become a key partner of the Ministry of Health in developing this plan. The strategy is to develop a taste for healthier foods by promoting and featuring healthier menu options while limiting the availability of less nutritious foods. There has been a relapse as many school canteens have returned to offering junk food or pupils have started buying fast food outside the school. The association has developed policies intended to counter these trends including a takeover of provision of food in some schools. ^ Educating NZ (2008). “Collaboration between Educating NZ and Healthy Kids SCA”. http://www.educating.co.nz/services/healthykids/. Retrieved September 1, 2008. ^ NSW Health: Child Obesity (July 15, 2008). “Press Release: Premier launches NSW Healthy School Canteen Strategy”. http://www.health.nsw.gov.au/obesity/adult/canteens.html. Retrieved September 1, 2008. I am a professional writer from China Products, which contains a great deal of information about double palm gloves , cleanroom vinyl gloves, welcome to visit! As a health-conscious reader, you already know all about the benefits of healthy eating and active living. But some days it’s harder than others to put that knowledge to good use. Smart eating and an active lifestyle should be easy and enjoyable, not a chore! Let 365 Days of Healthy Eating from the American Dietetic Association show you an easier way to start living a healthier lifestyle, one day at a time. 365 Days of Healthy Eating from the American Dietetic Association is brimming with sensible, personal, and practical tips that can help you build lifelong healthy eating and fitness habits, one easy step at a time.